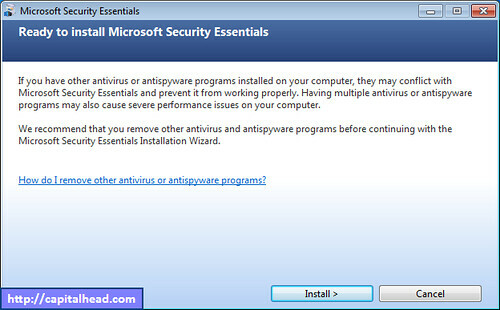 This article takes a quick look at the installation process of new and free anti-virus and anti-spyware package, Microsoft Security Essentials on Windows 7. 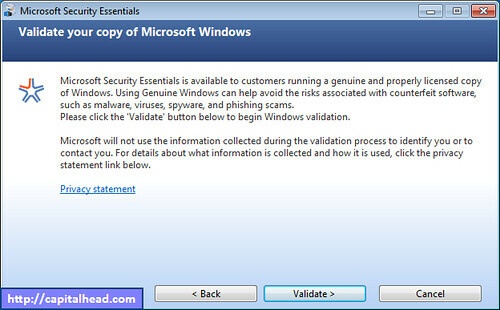 Download the package from the Security Essentials website. 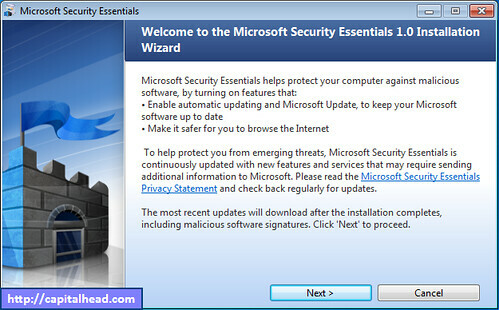 Double click the Security Essentials installer package you just downloaded. 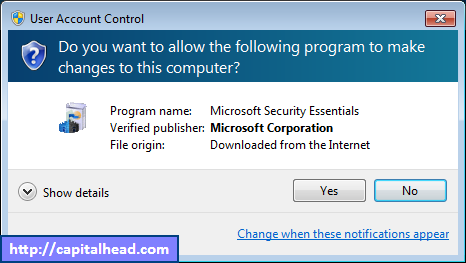 On the User Account Control dialog, click Yes. 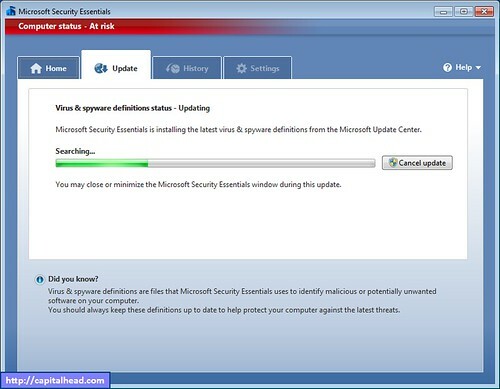 Microsoft Security Essentials will now attempt to download the latest virus and spyware definitions from the Microsoft Update Center. 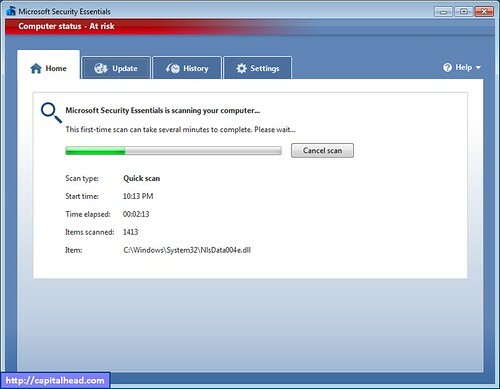 Once updated, Microsoft Security Essentials will do a complete scan to ensure there aren’t any existing viruses or spyware on your system. 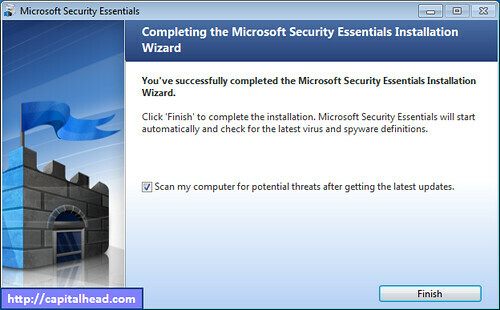 When finished, you should be presented with a nice Home screen stating that everything is green. 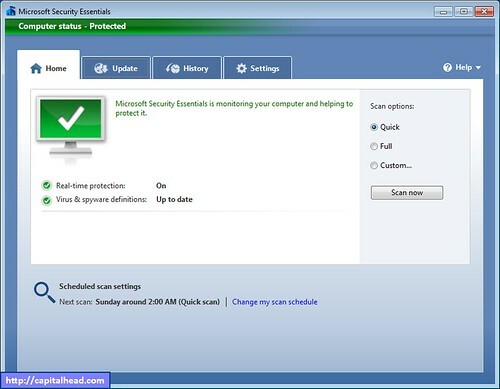 Microsoft Security Essentials installs without any problems, has a clean user interface and works without being obtrusive. 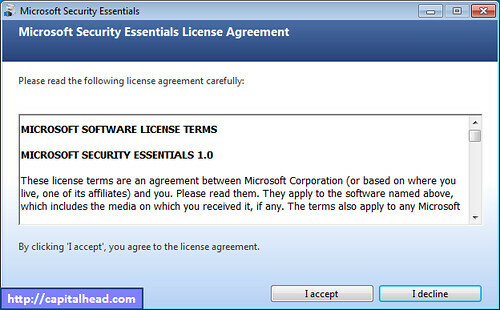 It leverages Microsoft’s investments in their Forefront family of products to allow home users to enjoy the same level of protection, but best all it’s free.